The summer has been a busy one, with events, progress, projects, and chores moving each day briskly along. If you're not careful, once the first mid-season 80s hit, the summer can slip through your fingers faster than sand through your toes. But after watching the homecoming games on August 11th, a marker of the season, I got the call I had been waiting for all summer from Jon Bonadeo, saying the first of two lighthouse expeditions would set off the following daybreak. 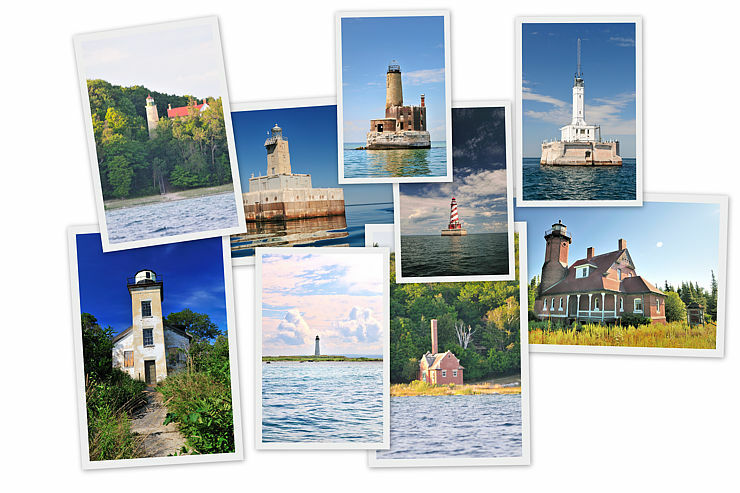 Author and guide Jerry Roach had booked Bonadeo’s Beaver Island Boat Charters for a group of 14 who hoped to add the Beaver Archipelago’s lighthouses as additional notches on their belts. Eager to tag along with this interesting group and get out on the water to see things from a different perspective, the backpack with cameras, lenses, and lunch was packed before the sun came up. With the boat loaded, we set out past the still marina and the mouth of Paradise Bay at 7:41 a.m.. It was a beautiful day.